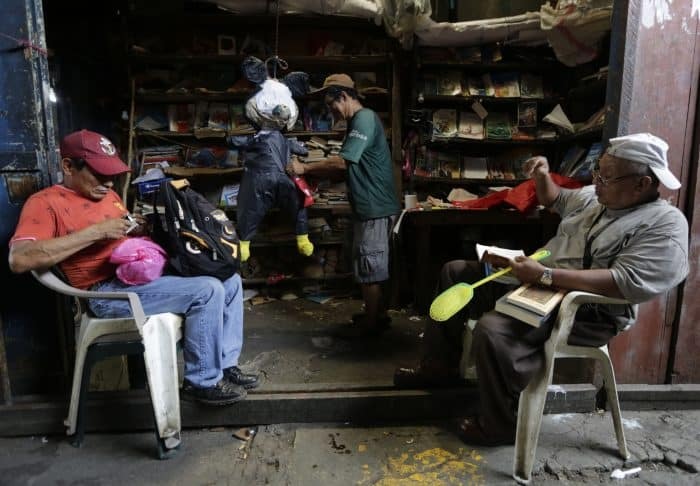 MANAGUA, Nicaragua – In taking over his family’s shoe business in Nicaragua’s largest market, vendor José Miguel Gutiérrez thought he was set for life. 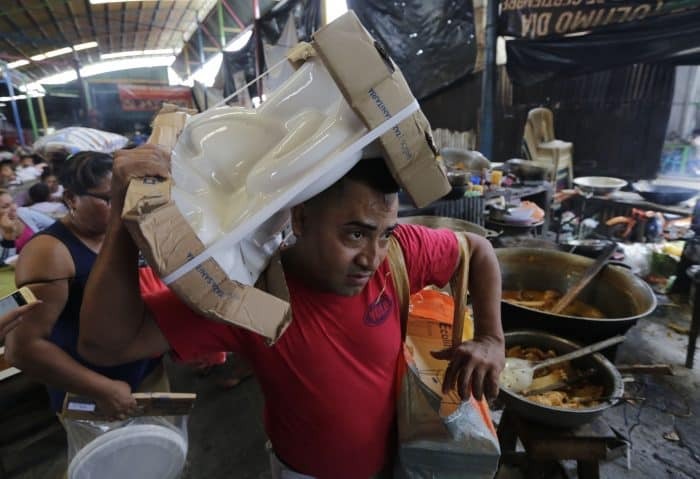 However, as his country nosedives into sociopolitical crisis, one of his two stalls stands barren. 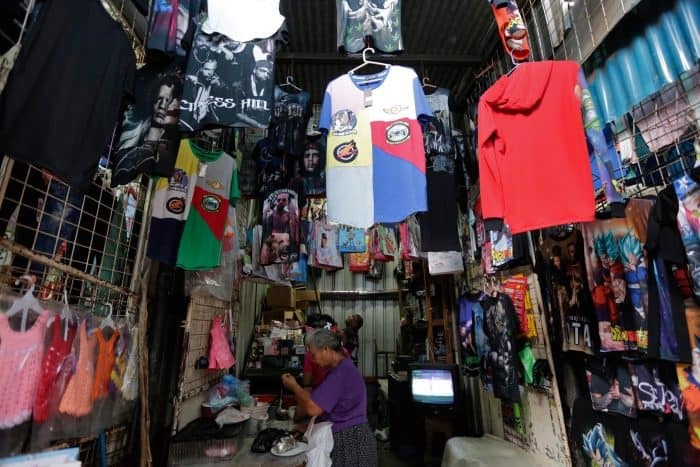 Situated in the heart of Nicaragua’s capital, the chaotic Mercado Oriental market – which sells everything from buttons to lizard meat – generates tens of thousands of jobs and hundreds of millions of dollars, providing a measure of Nicaragua’s economic pulse that vendors say is now beating at a snail’s pace. Gutiérrez is among those demanding that President Daniel Ortega relinquish power, an objective fueling protests and clashes with pro-government forces that have caused more than 130 deaths since April 18. Some vendors at the market, which encompasses roughly 85 hectares (209 acres), are opting not to accept imports. Instead they are selling only the inventory they have in stock to protest Ortega’s leftist administration. But the political act is not actually much of a choice: even for people like Gutiérrez who want to restock, deliveries destined for the sprawling market are being thwarted by myriad road blockades aimed at fending off riot police – which is simultaneously bringing commerce to a standstill. Some 4,000 delivery trucks are stranded on the country’s borders, according to local media, a calamity for Nicaragua as well as its regional trading partners including Honduras and Costa Rica. Despite his support of the protesters and their blockades, the shoe seller hangs his head in despair over the state of his business, where the plastic shelves that once featured rows of spotless Nike sneakers now gather dust. His remaining stall has dwindling inventory, and he fears the unrest’s evolution could shut him down all together. 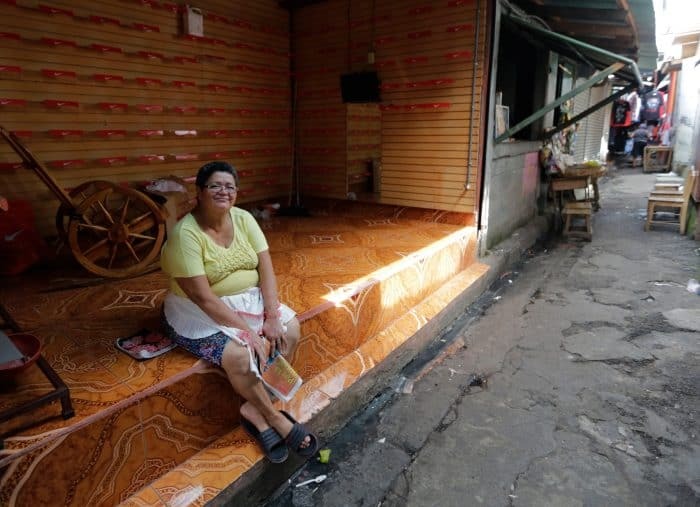 Sandal vendor Veronica Samora goes to work every morning saddled with a similar burden. A young couple peers at the 33-year-old’s shop, zeroing in on a pink pair of rubber moccasins – but they balk after asking Samora the price, the equivalent of about five dollars. She lowers it, and lowers it again, but the pair simply smiles and moves on. “The way we’re going with this war, at some point the day will come when we won’t sell anything,” she says. 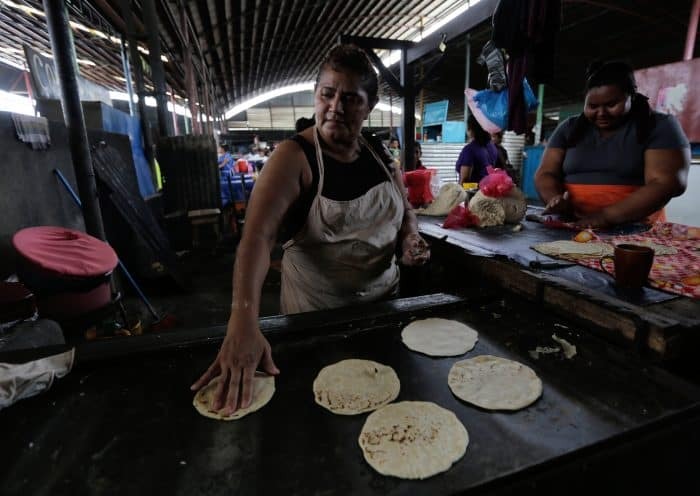 In recent years Nicaragua stood out as one of the fastest-developing economies in Central America, according to the World Bank, maintaining above-average growth compared to its neighbors and the Caribbean. 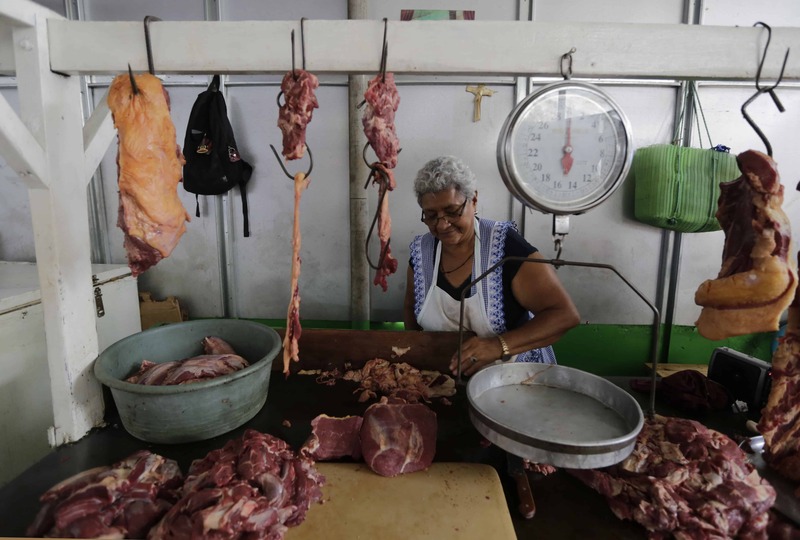 But the country remains plagued by inequality and is one of Latin America’s poorest. Tensions came to a head in April over Ortega’s controversial bid to reform the pension system – essentially reducing payouts while upping contributions – sparked mass protests that were met with a violent crackdown, morphing into a crisis now tanking the already fragile economy. According to economist Nestor Avendano, the volatile political situation in Nicaragua threatens to fell the country’s GDP by one percent – an $800 million dip – with respect to 2017. 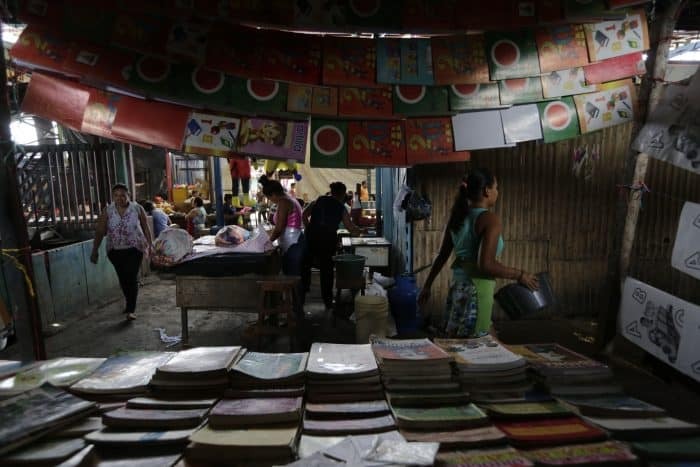 The Mercado Oriental vendors are already feeling the economic strain. 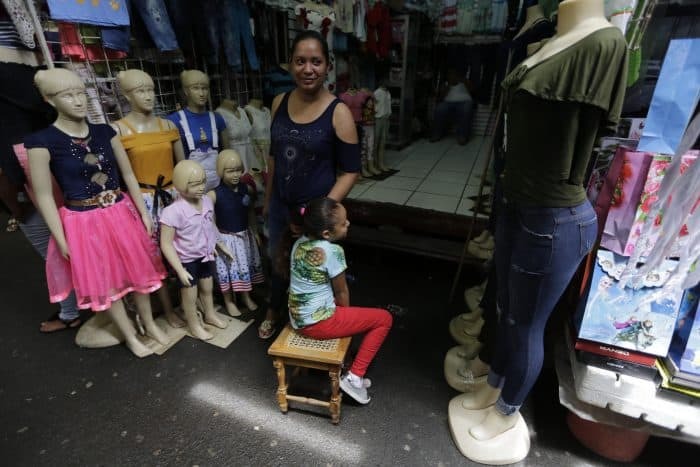 “The situation here in the market is quite critical,” said Fausto Aguilar Espinosa, a clothing stand vendor who has worked there for 23 years. Some sellers have consolidated what few goods they have left with colleagues at other stands – or shuttered their metal roll-down gates completely. “I believe in God that the future will get better, and that all of this will end; that the economy will return to normal. We pay debt from here. It’s from here that I feed my mother and my child,” he said, motioning to his destitute stall.